Military Genealogy. Uncover Your Family's Military Past. See the Great War being fought day by day. 4,500 Diaries, 1.52 million full colour pages. 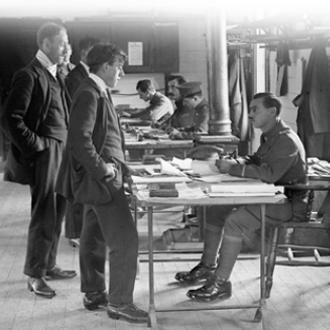 Almost all British families had relations or friends who served in the armed forces during the World Wars. Sadly, many perished or were wounded in the line of duty. Few spoke about their experiences. 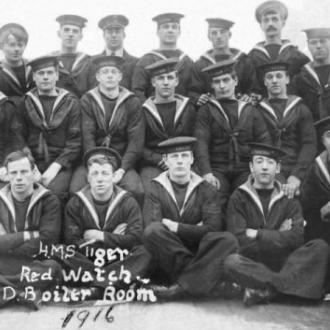 With our computerisation and indexing of various casualty lists, medal rolls and war diaries, you are now able to engage with your ancestors' military past. 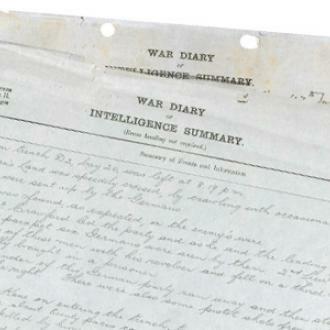 These War Diaries are the official accounts kept by most units of the British Army on active service during the Great War. Fully indexed, dates and locations of the unit are given along with intelligence reports, maps, precise plans for battles etc. These diaries are the most detailed, accurate and authentic accounts of what actually occurred on a daily basis during the war to the soldiers in the trenches.